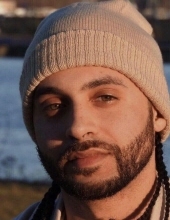 Michael “Mike” Thomas Shipley, 30, of Peoria departed from life on Wednesday, February 6, 2019 at his residence. Michael was born on February 1, 1989 the son of Melissa Shipley. He was baptized at an early age at New Morning Star Missionary Baptist Church under the leadership of Pastor Cleveland Thomas, Sr. and was educated in Peoria Public Schools. Michael was a man of great intelligence with a kind and generous heart. It was commonly stated, “Michael would give the shirt off his back for anyone in need.” He was a loving father who wanted the best for his children. He enjoyed life and wanted all those around to do the same. He had an inspiring personality and a compassionate soul. People adored being in his presence. Michael was a “big kid” at heart. He enjoyed playing basketball, video games, and Dragon Ball Z. He prided himself in being well dressed and physically fit. Michael leaves not to mourn, but to cherish his 30 years of memories: his mother Melissa (Marco) Chavez ; stepfather, Darick Thomas, Sr.; children: A’Lyric Cox, Azuin Mott, Avalyn Mott; brother, Darick Thomas, Jr.; sister, Alyssa Thomas; maternal grandmother, Elizabeth Shipley, paternal grandmother, Mattie Morris and a host of aunts, uncles, cousins, dear relatives, and close friends.He was preceded in death by his father, Conrad Brooks II, grandparents, Thomas Shipley and Christine Rettig. To send flowers or a remembrance gift to the family of Michael Thomas Shipley, please visit our Tribute Store. "Email Address" would like to share the life celebration of Michael Thomas Shipley. Click on the "link" to go to share a favorite memory or leave a condolence message for the family.